What is the future of reporting? Take a glimpse of the future with feedback from the latest 2degrees CR / Sustainability Reporting Spend Survey. As well as being a force for change, the focus in reporting is changing too. 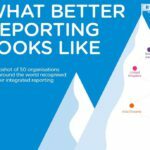 Hallberg was speaking at the recent 2degrees Reporting and Performance Masterclass, with the future of reporting proving a key topic. 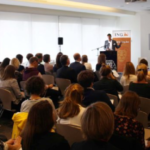 From what we heard from speakers and delegates alike, reporting is shifting from what has been achieved to using new data to inform future strategy, from an annual occurrence to an all-the-time process, and from a separate metric to being integrated with financial data. Considering that big EU companies will be required to report on sustainability by 2017, the future is in many ways near our grasp. But even for those leading the charge on reporting , its recognized that forward-thinking concepts will take a while to truly come in effect.